Planning an anniversary or Valentine&apos;s Day ski vacation? Need some help deciding on the perfect evening out on the town with your honey? Or would you rather spend some time tucked away in the Wasatch Mountains far from the buzz of the city? Whether you’re looking for excitement or adventure, relaxation or recreation, look no further. From the spa to the dance floor, a cup of morning coffee to an evening at the museum, these Ski City establishments will rev your romance engine. Ah yes, the steamy Snowbird staycation—a go-to weekend luxury for locals, and a must-do for pow-loving visitors. Take a break from charging the slopes and celebrate the sick tricks you’ve been throwing all day with a little rest and relaxation. 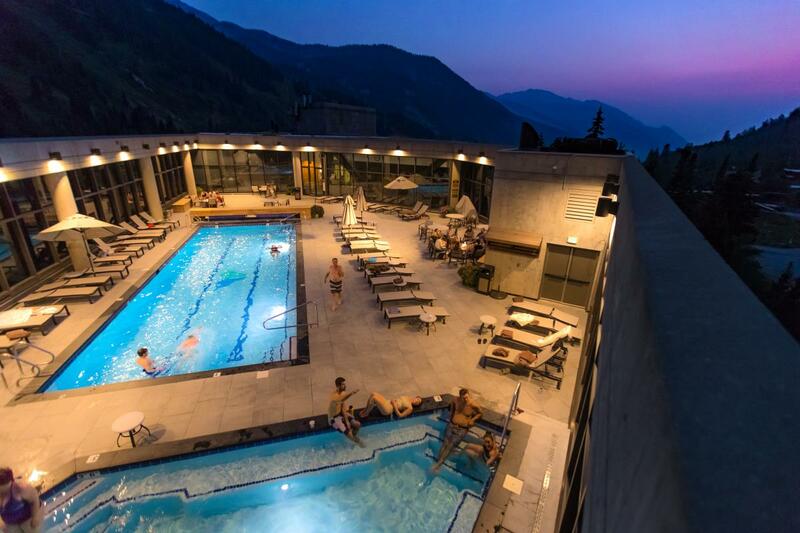 The Cliff Spa offers over 30 treatments, including stone massages, facials, body wraps, and a eucalyptus steam room (it&apos;s literally steamy in there). Stick around and watch the Wasatch Mountains light up at dusk; it&apos;s the perfect way to prolong that post-massage euphoria. Have you ever been sitting in the Cliff Spa rooftop hot tub while the sun sets? It’s really something. If you’re lucky enough to catch the sky on a clear night, bundle up and stick around for some stars. Tony Caputo&apos;s is the place to go for cheese of the highest caliber and chocolate that will change your world (this Italian market and deli also hosts regular classes for those who&apos;d like to learn more about making and tasting the finer things in life). Be sure to pick up a bottle of wine to go with your decadent picnic. Dress to impress, and get you and your boo to The Leonardo at Library Square. 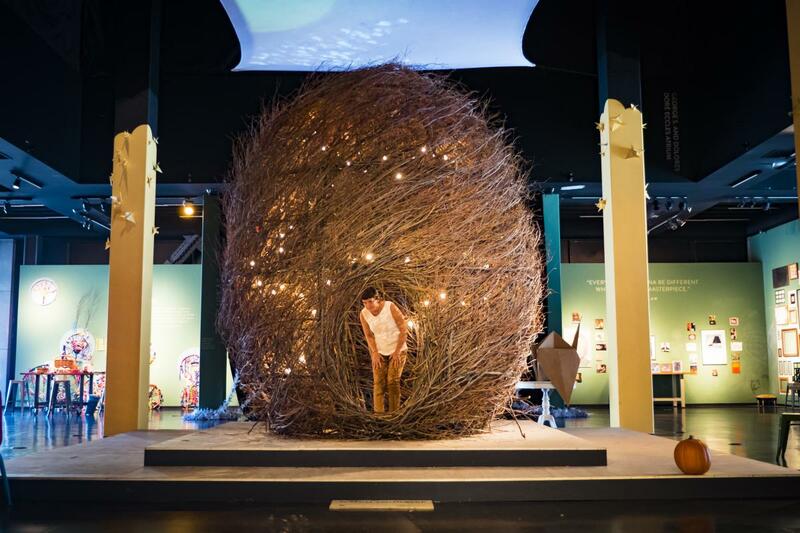 This unique science and art museum never disappoints with its mind-stretching exhibits, and check the events calendar for special events hosted there, such as wine and cheese pairings, drink-and-draw sessions, and more. If nature and history are more your thing, get thee to the University/Foothill neighborhood and talk a long, slow walk through the Natural History Museum of Utah. The exhibits are exquisite, as is the building and the view of the city it offers from its perch in the hills. 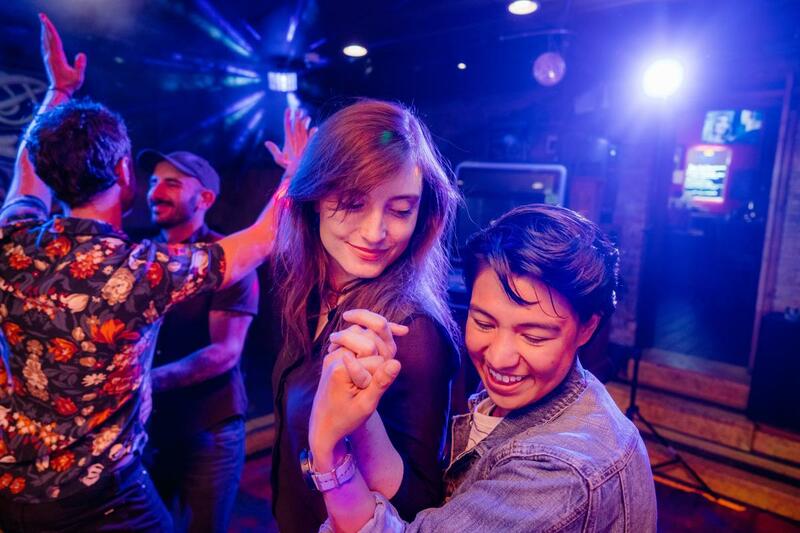 Party your way through the night at Karamba, the dance club located right in the heart of Sugar House, or steam up the dance floor with one of DF Dance Studio&apos;s many classes. If you&apos;d rather watch someone else do the dancing, check out Ballet West&apos;s performance schedule, and let this esteemed dance company seduce your senses. First stop: Banbury Cross. This is probably what heaven is like, a place where fresh-out-of-the-oven, piping-hot donuts are waiting for you. Banbury is famous for its Blueberry Cake donuts, but locals love the Cinnamon Crumb as well. Taking things slow? Throw in a stop for some coffee on your way downtown; there are plenty of great cups of java to choose from. La Barba is the city’s latest addition, located downtown in the new Finca location; it’s a great spot for a romantic morning rendezvous in the corner. The Rose Establishment, Alchemy on Capitol Hill, and Eva’s Bakery are all intimate, romantic options as well. 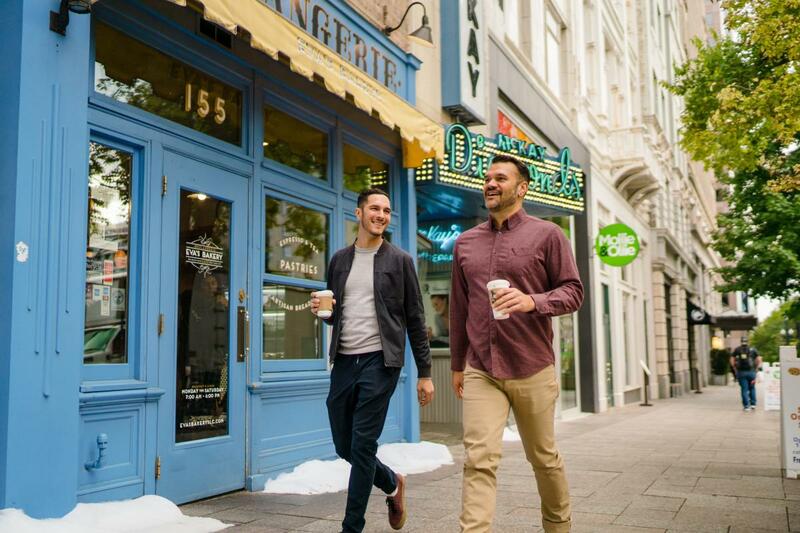 Once sweet teeth are satiated and minds are properly caffeinated, take the date over to City Creek Center for a stroll through two city blocks of glamorous shops. The go-to. The guaranteed winner. The date that’s always there for you in those clutch moments of panic before the perfect night has been decided on. The classic dinner-and-a-movie date, with a local Salt Lake spin. Start at the award-winning restaurant with modern American fare, The Copper Onion. You can’t go wrong with the burger (widely considered to be the best in town), and dessert is a must here. After a proper meal, walk just ten or so feet out the front door and over to the newly remodeled Broadway Theatre. Catch a romantic indie flick and cap the night off with a freshly made espresso or cup of coffee while you enjoy the movie. And just like that, another date night success.